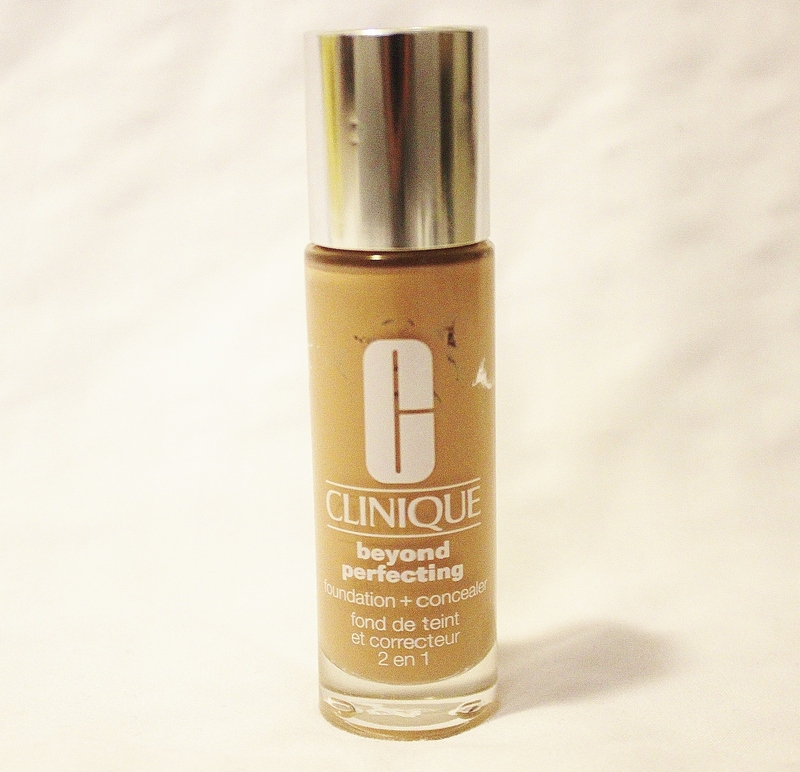 Today, I wanted to share a review on the Clinique Beyond Perfecting Foundation + Concealer Foundation. I’ve been using it for about two months and I really like it! What it claims: Lightweight, moisturizing, does not clog pores, skin breathes, color is true (through sweat and humidity), one dip of the wand is enough for your entire face, and 12 hours of full-coverage. At first, the foundation seemed a little darker than what I had swatched at the stoere, but it eventually adjusted and with some blending, it became the right color. They state that on the directions too, the first time you use it it might look darker because the pigment is so rich, but just blend it out. I have acne prone skin and so far, this foundation has not broken me out. I have one or two zits here and there, but not enough to be from the foundation, especially since I use it everyday. I have oily skin, so I was nervous when the foundation said it was moisturizing, but there was nothing to fear. The foundation on my forehead, chin, temple, and outer cheek area stay put throughout the day. I typically where makeup for about eight to ten hours, so I think that’s a decent amount of time. The foundation around my lips and nose/pore area tends to settle into a couple lines. I figure it’s because I’m oily and when I talk and drink, of course it’s going to settle into those fine lines. Recently, I started using the Laura Mercier Translucent Powder, and it has helped reduce that effect, but of course, it’s not totally gone. The method that helped me is instead of pressing it in with a damp beauty blender, I used a powder puff and really pressed the powder into my pores. I haven’t broken out or anything, and my oiliness has reduced quite a bit. With oily skin, primers are a necessity. Recently, I’ve been using the NYX Photoready Primer all over my face and the NYX Pore Primer on the larger pores around my nose. these primers have really helped the foundation stay in place. The coverage is perfect. It’s full-coverage and you don’t need that much product. Usually one dip is enough for me. It takes care of my dark spots and hyper-pigmentation very well! I love that it’s also good for concealing at the same time. Perfect 2 in 1 product. I would recommend using the tip end of the brush to conceal blemishes. I like how it covers up dark spots and blemishes, but I hate how it makes my under-eyes look. Definitely use an actual under-eye concealer for dark circles. I think that since my under-eyes are so dark and different from the color of my face, it gives it a weird shade compared to the rest of the foundation on my face. The price is not that bad for a brand like Clinique. I purchased mine from Belk for $28, which is actually very inexpensive for the amount you get, which is 1 oz. There are some foundations that are more expensive and you get less product, so the price doesn’t bother me at all. I really like the packaging as well! It’s in a long, glass bottle, which usually I wouldn’t like, but it’s thick enough to where it has a smaller chance of breaking if I drop it, (which I have done, multiple times). Also, the applicator is interesting. It’s not my favorite, but I don’t hate it. It’s a neutral feeling. I do like that the brush picks up a lot of product, and the claim that one dose of the brush is enough is totally true! I just dot it all around my face and that’s enough. Overall, I think this is a great foundation. It’s not mattifying by any means, but with some primer and setting powder, people with oily skin can definitely use this. 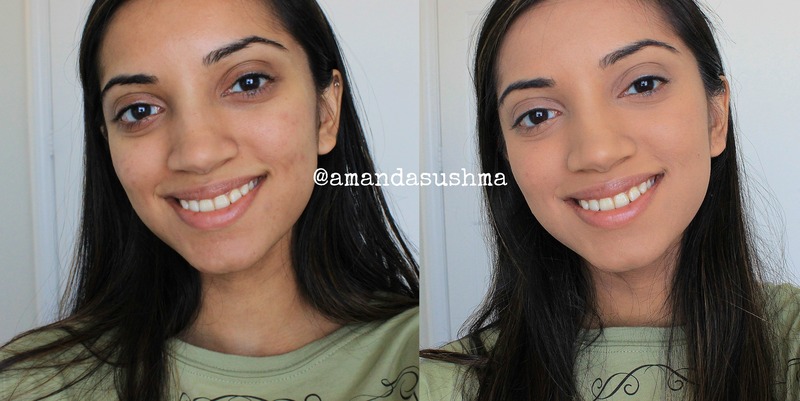 The coverage is amazing and you can use it for targeting blemishes at the same time. The price is not crazy and you get a decent amount. FOUNDATION APPROVED. Thanks so much for reading! I would love to hear your comments or questions!